Tagline: In a town like Twin Peaks no one is innocent. Buckle your seat belts - this may be an odd review. I have to admit that I decided to check out Twin Peaks: Fire Walk With Me for a somewhat unusual reason. I requested the DVD simply because David Bowie appeared in the movie. As a huge fan of the man�s music, his presence made the prospect more appealing to me. However, Bowie�s been in many movies I�ve never seen. In fact, of the 16 or so flicks in which Bowie acted, I�ve only watched seven of them if we include Fire. Considering my absolute admiration with the man, that doesn�t seem like a very high number. So why�d I elect to screen Fire? Frankly, I�m not really sure, especially because I never watched the show on which it was based. I recall the fuss made over Twin Peaks when it aired in the early Nineties, but for reasons unknown, I didn�t ever bother to give it a look. Sure, I knew something about it; the series penetrated the culture too substantially for me to remain fully ignorant. Nonetheless, I remained a stranger to its potential charms. That situation hasn�t changed over the decade since Fire hit screens. Before I watched it, all I knew is that it presented a �prequel� that told the tale of Laura Palmer before her death. From what I knew, that demise offered the main raison d��tre for the series; it revolved around the search for her killer. As noted, Fire follows the tale of Laura Palmer. Actually, it starts a year prior to her murder as we see an FBI investigation of a different killing. Someone offed Teresa Banks (Pamela Gidley) and agents Chet Desmond (Chris Isaak) and Sam Stanley (Kiefer Sutherland) look into the slaying. They discover some unusual elements, most notably a missing and mysterious ring. As soon as Desmond locates the absent piece of jewelry, he vanishes. At that point, the movie jumps forward a year to observe the final days of Laura. Pretty and popular, we quickly see that the homecoming queen�s life isn�t as sweet as one might expect. She toys with boyfriends like Bobby Briggs (Dana Ashbrook) and James Hurley (James Marshall) while she snorts cocaine and parties at a rough nightclub. Her father Leland (Ray Wise) displays very odd and controlling behavior around her, and she professes that a monstrous man named Killer Bob comes in through her window and molests her. Her best friend Donna (Moira Kelly) knows about some of Laura�s behavior, but the troubled girl tries to keep Donna from following in her footsteps. As I�ve established, I knew little about the TV series. So how did Fire play as a stand-alone feature? Acceptably well, though I wouldn�t call it a total success. Director David Lynch�s unique brand of oddness appears in full flower here, as the film offers a slew of apparently nonsensical images. Perhaps not coincidentally, the flick opens with a shot of a TV being destroyed, which seems to be Lynch�s commentary on the less-than-tactful way ABC dealt with the series. More chutzpah reigns as Lynch himself plays the first character we see, FBI Regional Bureau Chief Gordon Cole. With Lynch�s exaggerated and loud declamation of his lines, at the start it seems like Fire will become some sort of bizarro comedy. The semi-goofy interactions of Isaak and Sutherland contribute to this tone as well, and I think one of the scenes actually provides a blown take that Lynch used in the film; if you look at about the 22-minute mark, you�ll hear Sutherland repeat a line twice before Isaak responds. This sure looks like a goof that made the final cut nonetheless. Whatever the case may be, the first act shows more of the odd and quirky dark humor for which Lynch is known. The examination of the corpse of Banks alters the tone somewhat. Nonetheless, the film appears like a warped black comedy for its early moments. The film also introduces more apparently nonsensical aspects. Despite my lack of background in regard to the series, I knew Kyle MacLachlan�s Agent Cooper was the focal point. He appears only briefly in Fire, and his segments are genuinely bizarre. In fact, they�re so weird that I can�t explain them without potentially spoiling the film, so I�ll have to omit specifics. Suffice it to say that they become quite surreal at times and really opened up some potential issues. Note that those segments include Bowie�s brief participation in Fire. If you - like me - want to watch the film to see him, you�ll also be disappointed. He doesn�t do much as a freaky FBI agent with the worst Southern accent I�ve ever heard. His scenes make a little more sense by the end, but on their own, they don�t merit much comment. Lynch populates Fire with much of the self-consciously bizarre imagery that showed up in other flicks. 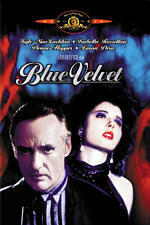 As I noted in my review of Blue Velvet, one problem I have with Lynch�s work is that he often seems to go for weirdness just for the sake of being unusual. The odd elements appear somewhat gratuitous and forced to me. That was true at times during Fire, but by the end, a lot of the warped visuals and actions made more sense. Fire revolves around the sad existence of Laura, and though initially much of the weirdness seems random and disjointed, it makes more sense once we learn additional insight into her personality. Buried beneath all of the strangeness, Fire really offers little more than a tale about an abused girl and how she reacts to that behavior. That said, Lynch was able to create a fairly vivid look at the mindset of such a person, which is why the bizarre elements made sense in the long run. Well, some of them did, at least. The Cooper scenes and aspects that surround Banks� ring create more questions than they answer, but I thought a lot of the imagery distinctly illustrated the depths of Laura�s soul. As one who never saw the TV show, Twin Peaks: Fire Walk With Me was a weird experience. Actually, even if I had seen the program, it still would have been odd, but my lack of experience made it different. I might even have read more into some elements than otherwise would have occurred. Whatever the case may be, I can�t say that I really liked Fire, but I must admit it was a strangely powerful piece. Frankly, the first two-thirds or so could be rough-going at times, as they seemingly made little sense. However, the final act helped tie these together, and the film ended on a very haunting and powerful note. Honestly, I was ready to slam the flick until I got to the last half hour or so, and my negative assessment wouldn�t have been alone. Critics savaged it during its original run, and apparently the Frenchies at Cannes booed it viciously. On one hand, I understand some of the nastiness, as much of the movie seems positively incoherent. Nonetheless, I must acknowledge that if you can make it to the end, the journey seems worthwhile. As bored as I felt at times - and I occasionally really regretted my decision to review the DVD - the film has stuck with me and actually makes me more curious about the whole world of Twin Peaks. The more I think about Fire, the more I like it. Twin Peaks: Fire Walk With Me appears in an aspect ratio of approximately 1.85:1 on this single-sided, dual-layered DVD; the image has been enhanced for 16X9 televisions. Though some concerns popped up at times, overall the movie presented a very satisfying picture. Sharpness consistently looked excellent. Throughout the film, it seemed crisp and well defined. No distinct examples of softness appeared, as the movie remained accurate and distinct. Jagged edges offered no concerns, but I did see some shimmering and more than a few examples of edge enhancement. The latter didn�t become pervasive, but it appeared quite noticeable at times, and it offered an unnecessary distraction. Otherwise, print flaws seemed fairly minor. I witnessed some moderate grain during a few dimly lit interiors, and a speck or two of grit also cropped up, but for the most part, the film lacked many discernible defects. Colors presented a highlight of Fire. From start to finish, they looked wonderfully vivid and rich. During the nightclub scenes, they could appear somewhat heavy, but I believe this occurred by design to symbolize the setting. Otherwise, the hues seemed brilliant and accurate, with no problems related to bleeding, noise, or other issues. Black levels also came across as nicely deep and dense, while shadow detail was appropriately thick but not overly opaque. Ultimately, Twin Peaks: Fire Walk With Me missed out on �A�-level due to that moderate edge enhancement, but otherwise it was a terrific-looking flick. While I often find DVDs from Universal and Disney that include both Dolby Digital 5.1 and DTS 5.1 mixes, the inclusion of these on Twin Peaks: Fire Walk With Me came as a surprise. I guess it shouldn�t have been, for New Line have begun to offer the two more often. Rush Hour 2 included both tracks, as did Hedwig and the Angry Inch. So let�s hear it for New Line and freedom of choice! However, if you expect to hear a substantial difference between the two mixes, I think you�ll (fire) walk away disappointed. To these ears, the two editions sounded virtually identical. As I flipped between them, I couldn�t discern any significant variations, and I thought both offered very similar experiences. That wasn�t a bad thing, for despite a soundfield that didn�t exactly push my system, the audio seemed quite good for this kind of film. To be sure, the track remained heavily oriented toward the front, and many elements stayed largely focused in the center. Dialogue and effects generally emanated from the middle. In regard to the latter, the audio offered very nice ambient sensations, and on occasion, some good panning and movement occurred; for example, at one point James� bikes drives accurately from one side to the other. However, the effects didn�t often escalate beyond general atmosphere. Since that was an important aspect of Fire, I won�t complain; the mix helped create a very moody and foreboding atmosphere. Music played a key role, as the score and various songs offered a virtually omnipresent force in the film. Though still focused on the front, the music poured nicely from all five speakers and it really enveloped me with the dark tone. Audio quality appeared good for the most part. Speech showed some minor edginess at times, and a few lines sounded boxy and stiff, but usually the dialogue seemed reasonably natural and distinct. As noted, effects usually played a pretty minor role in the movie, but they came across as clear and distinct nonetheless. Some elements - like the slamming of car doors and the destruction of the TV - even boasted good bass thump. 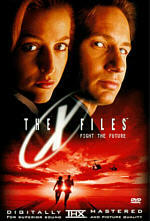 Still, music remained the star of the film, and the mix replicated the score and the songs well. They always sounded clear and bright, and they also showed positive bass response. 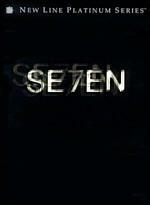 The scenes in the nightclub probably offered the best use of music in the movie, as they really immersed us in the unpleasant and tawdry environment; though not as a aggressive, the scene remained me of the �Lust� murder setting from another New Line flick, Se7en. In the end, the soundtrack to Twin Peaks: Fire Walk With Me won�t dazzle anyone, but it worked quite well for the material. According to New Line�s publicity materials, Twin Peaks: Fire Walk With Me was their most-requested unreleased DVD title. (I wonder what it is now?) As such, it seems disappointing that the disc includes very few extras. However, this appears to be due to the desires of the director. I scanned a list of Lynch titles on DVD and found that few of them include many supplements. Dune, A Straight Story and Blue Velvet were very bare-bones releases. The Elephant Man seems to provide the most extensive roster of extras, as it offers a 30-minute documentary and some other pieces. Unfortunately, Lynch didn�t participate in any of those, and he also doesn�t show up for Fire. In addition to the film�s theatrical trailer, all we find here is a documentary. Clocking in at 31 minutes and 15 seconds, this untitled piece adopts the jarring tone of a Lynch film to tell its tale. At first, this seems tremendously annoying, as it looks like the whole show will offer nothing more than jumpy and avant garde collection of random thoughts. However, it becomes more focused after a while and actually provides some good information. If Lynch refuses to speak, then dammit, his actors will take up the slack! They offer a lot of notes about working with the director, and these become amusingly contradictory. One person relates that Lynch refused to change a comma from the script without great deliberation, while another states that they pretty much improvised everything. During the documentary, we get interviews recorded in 2000. We hear from actors Ray Wise, Grace Zabriskie, Sheryl Lee, Kyle MacLachlan, Michael Horse, Miguel Ferrer, Kimmy Robertson, Al Strobel, Michael Anderson, Catherine Coulson, Peggy Lipton, Everett McGill, Madchen Amick, and Dana Ashbrook as well as casting director Johanna Ray and cinematographer Ron Garcia. In addition, the piece features Michel Chion and Josh Eisenstadt. Who are they? From what I can find, Chion wrote a book about Lynch, whereas I can�t locate any information about Eisenstadt. I have a feeling he�s the guy with Anderson who seems like a fanboy, but I could be wrong. That brings up one major annoyance during the documentary: none of the participants are identified onscreen. That�s fine for prominent folks like Lee or MacLachlan - who�s starting to look a lot like k.d. lang, by the way - or folks with distinct physical appearances like Anderson or Strobel. However, others are less clear, and this becomes especially confusing since a few of them never appeared in the film! Horse, Robertson and McGill were all cut from the final product in the many deleted scenes that apparently exist. Of course, you don�t find those here, what with Lynch�s lack of cooperation. However, the actors do talk about them a little, which may be helpful for the fans. I also really liked Garcia�s discussion of his work on the big nightclub scene; he goes into depth on what he needed to do, and it�s quite interesting. Overall, the documentary still seems excessively quirky and jumpy at times, and a few of the actors seem like they're still trying to extend their 15 minutes of fame, but it offers a reasonably informative program. Left unanswered: whatever happened to singer Julee Cruise? Man, did I hate that crappy "Falling" song! She briefly appears in the flick, but "briefly" is too much for me - yuck! At first, I found it odd to note that Fire didn�t include a �scene selection� menu. However, as I read a little more about other Lynch DVDs, I discovered this wasn�t so unusual after all. Apparently at the request of Lynch, Elephant Man and Straight Story have no chapters at all! At least Fire provides that convenience, and liberally so, as the disc has 40 chapters. Nonetheless, you have to access these manually, as the disc features no overall display of chapters. I wasn�t quite sure what to expect of Twin Peaks: Fire Walk With Me, and I�m still not positive what I thought of it. Alternately boring and engrossing, the movie offered an odd experience that seemed strangely compelling nonetheless. The DVD provides generally positive picture and sound plus a weird but interesting documentary. Clearly Fire is too weird for most, but those with an affection for David Lynch should be pleased with this DVD.